Chinese drone maker DJI is looking to tap the action camera market with its new handheld Osmo camera, which takes things one step further by offering built-in image stabilisation as well as the ability to record ultra high-res 4K video. Housed in what looks like a miniature guitar case, the company’s latest toy for videographers marks a new departure for DJI beyond unmanned aerial vehicles. “DJI consistently refines the way cameras move in space – whether they are in the air or on the ground,” said DJI founder Frank Wang Tao. Rumours circulating on websites like Droneenthusiast.com suggested DJI may supply add-ons to the device so it can be used underwater, but these could not immediately be confirmed. 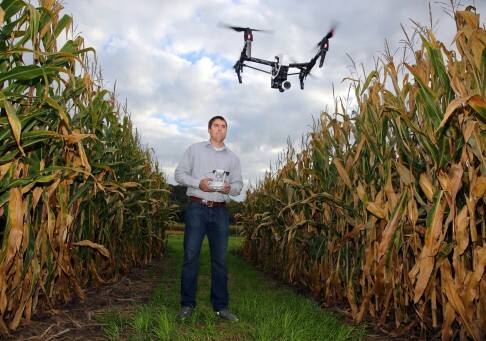 Based in the former boomtown of Shenzhen in southern China’s Guangdong province, DJI ranks as one of China’s most valuable start-ups with an estimated value of US$10 billion. It controls about 70 per cent of the global market for civilian drones. Interest in small, wearable cameras has been growing over the past few years. Action camera market leader GoPro sold 5.2 million cameras in 2014, with its fourth quarter sales of 2.4 million exceeding total sales for 2012. DJI seems bent on tapping this growing market with cutting-edge products like the Osmo, which is now available for pre-order at US$649. The South China Morning Post was given an early look at the product and found it an impressive addition to the burgeoning catalogue of handheld cameras. 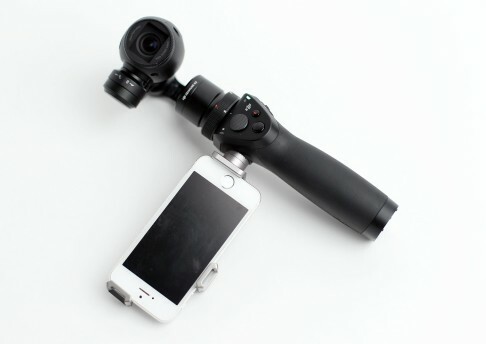 It brings the technology used to provide steady aerial shots to a handheld device with a camera and gimbal mounted on a joystick-like control paired with a clip to attach it to a smartphone, which now doubles as a viewfinder. What sets the Osmo apart from a selfie stick-GoPro combination is the level of stability it offers. GoPro users have long complained of shaky videos but this is not a factor here due to the Zenmuse X3 Gimbal, which is also used in DJI’s popular Inspire drone. The device also wins with its mechanical pan and tilt function. Controlled by DJI’s unique processor, the gimbal compensates for movements on three axes and maintains a steady shot no matter how shaky your camerawork, which comes in handy when climbing stairs. The Osmo can also be used with a bicycle or vehicle mount to ease out the bumps when recording extreme sports. Operated through a combination of the DJI Go app on any smartphone – which also works as a remote control – and buttons on the device, the camera shoots 12 MP photographs and 4K video. Other functions include panoramic shots, where the camera automatically pans 360 degrees and stitches the images together, and a long exposure option. 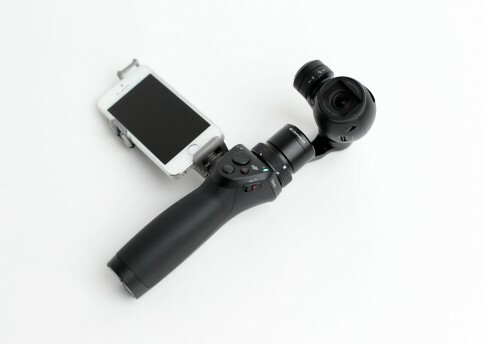 The Osmo’s stabilising handle can be purchased separately without the camera and is compatible with DJI’s Zenmuse series. A control stick on the handle lets you control the mechanical pan and tilt, a feature the Post’s video team found particularly impressive. Another winning function is the device’s selfie mode, which is activated by three taps on the trigger to make the camera spin around to face the user. Two more taps and the camera swivels back to it default position. For reporters, the Osmo’s stabilisation opens up a wealth of opportunities, such as filming in moving vehicles – even though the contrast levels are not ideal. The selfie function should also prove useful for TV journalists operating alone. One downside is that the Osmo does not have a built-in tripod. Its top heavy nature means you must be careful when putting it down, and it cannot realistically be placed on a table or other flat surface for hands-free filming. However a tripod can be purchased separately. To test the Osmo’s stabilisation features, we went on a short a walk around Causeway Bay. We then repeated the same route twice more: once using a GoPro mounted on a GoPole Grenade Grip, and again using the GoPro mounted on a Steadycam Smoothee. To make the test as fair as possible, we set both cameras to film at 2.7K and PAL 25p. The Osmo walk had to be repeated as the file for the first test was corrupted.